Nathan Higgs is a veteran in the construction field. For almost a decade, he’s been a top production manager. He’s also built and sold three profitable roofing companies. Through Higgs Professional Consulting, Nathan helps others in the field dial in their operations and production work flows. 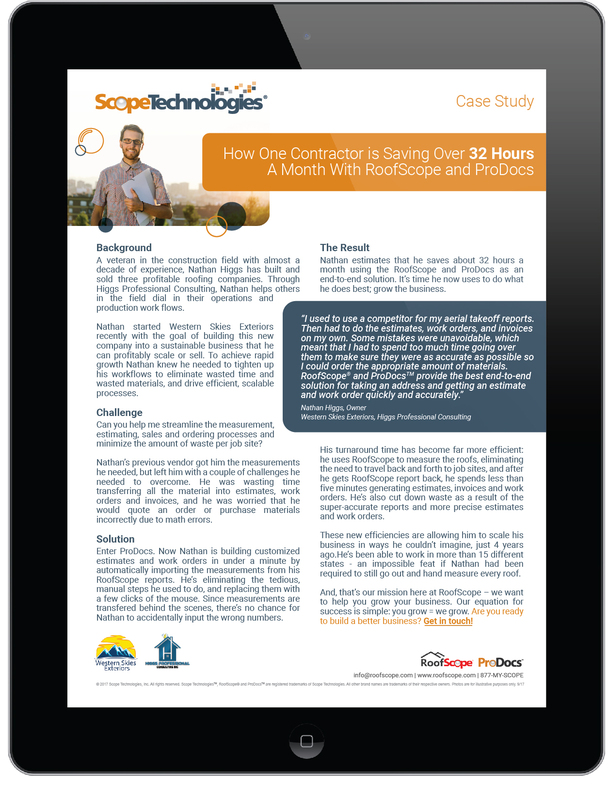 One of the most important tools in his toolkit is RoofScope and ProDocs, an end-to-end solution that saves Nathan about 32 hours a month -- that’s nearly a full work week! What would you do with an extra 32 hours a month? Spend time with friends and family? Expand your business to new neighborhoods… or even states? Click the case study below and learn how you can leverage these tools and grow your business, too!